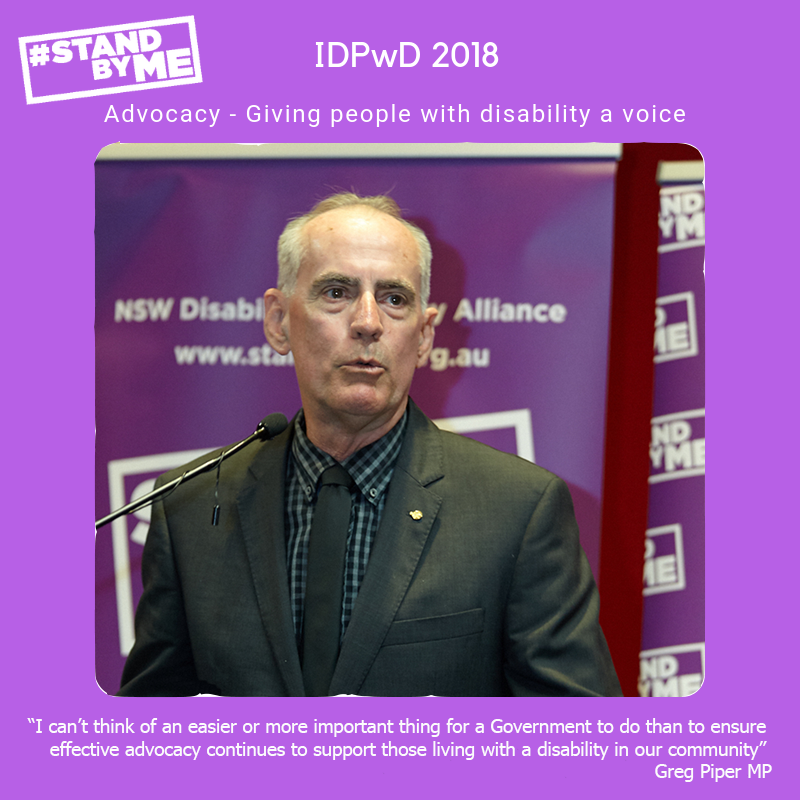 Today is International Day for People With a Disability and I'm very proud to stand again with the National Disability Advocacy Alliance and call on the State Government to maintain funding for advocacy services. You might remember that I had a lot to say on this issue earlier in the year. We were able to convince the Government to extend funding for a few more years, but there should be no deadline on such a vital and important service. I can't think of an easier or more important thing for a Government to do than to ensure effective advocacy continues to support those living with a disability in our community.